Janet has been promoted to the Shadow Cabinet after years of graft and campaigning in the party. To celebrate the occasion, she is hosting a little soiree with some close friends and their partners. However, her lately distracted and dispassionate husband Bill has his own announcement to make on the night, which may cast a bit of a shadow over the evening. The Party is equal parts political and domestic satire. Writer and director Sally Potter’s primary concern is, as with any dinner party gone wrong, the stripping away of social pretensions and marital dishonesty. Baked into this though is the subtext of political and philosophical hypocrisy. This cadre of (mostly) socially elite and fairly ineffectual centre-lefties spend the evening contradicting or outright betraying the principles they have framed their lives around. The sore thumb amongst the academics, politicians and cod-philosophers is Cilian Murphy’s increasingly maddened moneyman, whose incendiary interjections add further paraffin to the bonfire. 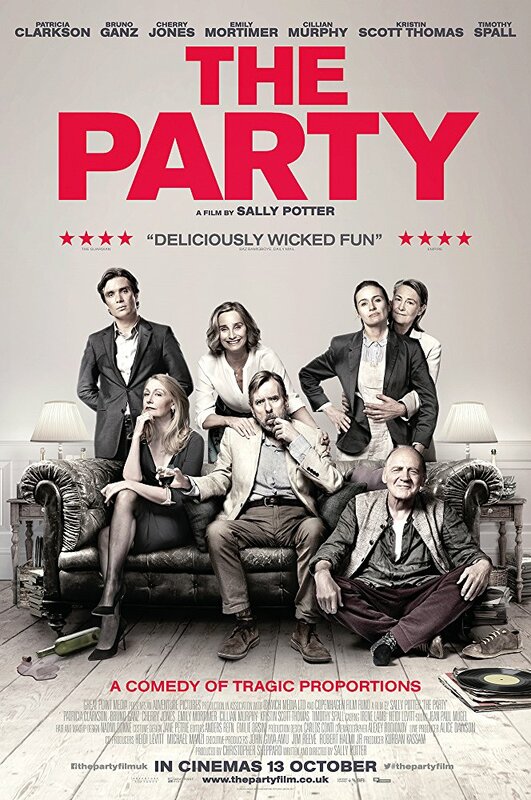 Potter’s film is essentially an aggressively upper middle-class version of Abigail’s Party. The company descends on the house with a wealth of personal issues to unload on the seemingly secure but ultimately very unstable foundations of the hosts’ relationship. Rather than digging into the muddled aspiration of the rising new middle class, this is a look at a stagnant and sheltered stratum of society. They are one step down from being innately entitled to power but are entitled to sanctimonious moralising, despite some rather superficial approaches to progressive thinking. 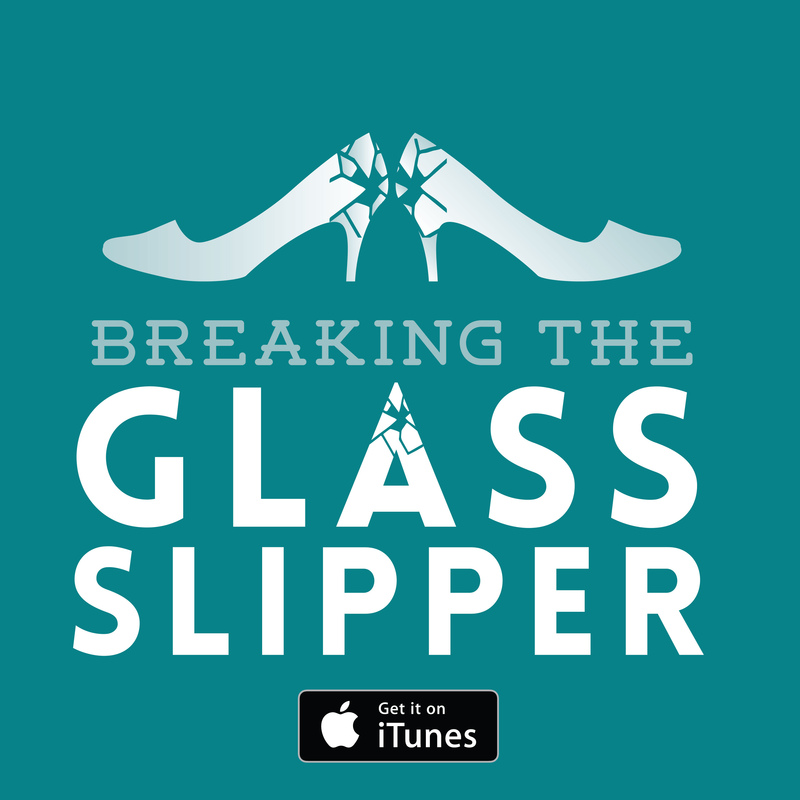 The cast is fiercely accomplished across the board. Kristin Scott Thomas is the focus of attention for the party as Janet and there is no surprise that she is as good here as in anything across her lauded filmography. 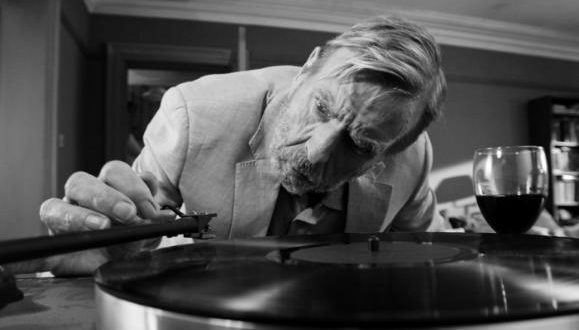 Timothy Spall shows his unerring ability to carry a scene with mumbles, grunts and poignant looks with the out-of-sorts Bill. Bruno Ganz is a surprising and very effective choice for the aphoristic life coach whose zen has a nice contrast with Murphy’s desperate energy. 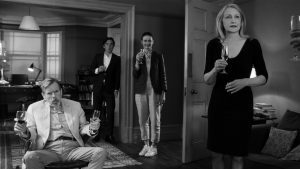 For me the best was the reliably brilliant Patricia Clarkson, who gets many wry lines delivered perfectly to deflate the egos of her peers and the scenes at large. The film has one notable and recurring flaw in that the characters seem all too keen to declare their philosophical and political positions with minimal justification or context. It might be that this is heightened parody of the affected stances and posturing of a certain generation of pseudo-intellectuals with limited self-awareness, but the film excels at this on a much subtler basis. There is no need to lay it on so thick in this respect. The film is funny and insightful and very taut, though I do not think it quite overcomes the contrivance with which people launch into exegetic ponderings. There is an unashamed staginess but that’s not necessary a downside: The Party hardly has broad cinematic appeal. It’s sharply constructed with performances to match, even if it does lean on the willing disbelief of the audience just a tad too much. Verdict: A witty film about that classic scenario, the dinner party gone wrong.